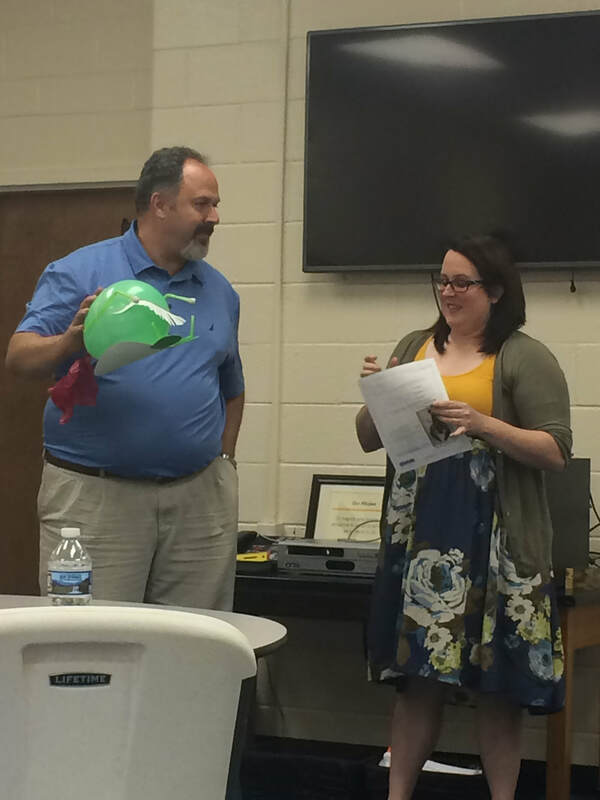 Our Principal, Beckie Carbaugh, attended the MAEOE Green Leader Training on November 8, 2016 at the MAEOE Office in anticipation of applying for Green School status. The link below is the registration confirmation link for the Green Leader Training. She brought that information back to the teachers and discussed it at staff meeting. 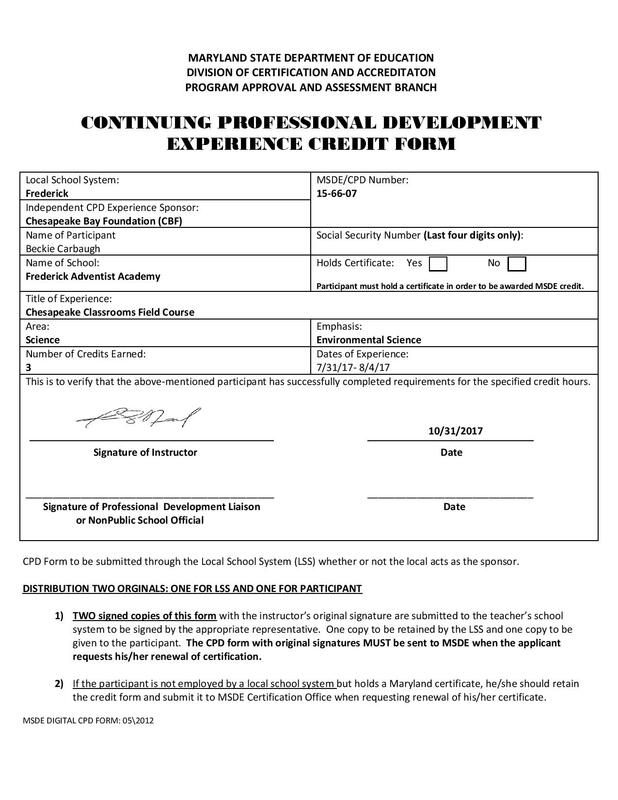 All teachers are aware of the on-going Green School application process. 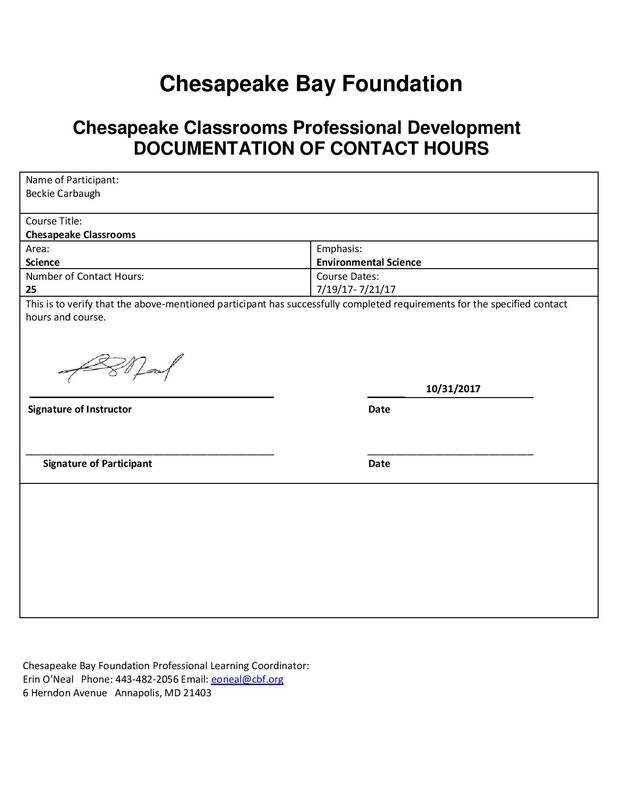 Attached are three staff meeting agendas to show our progress. School Community and Staff are aware of the Green School Application as stated in our FAA Vision and Strategic Plan on page 9. 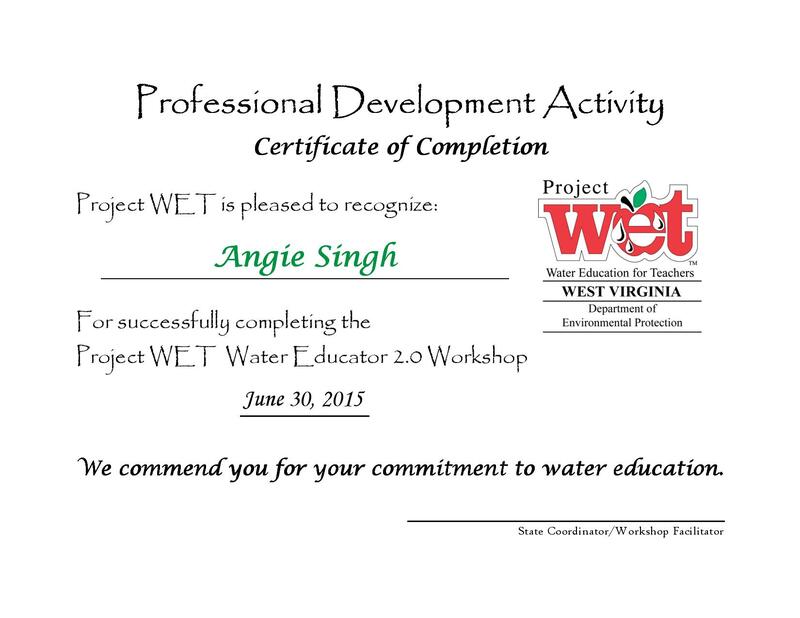 Teachers attended a professional workshop presented by Cindy Etgen from the MD-DNR where they learned about invasive species and how they are affecting our local waterways. They also learned about school and community action projects to take back to their classrooms. 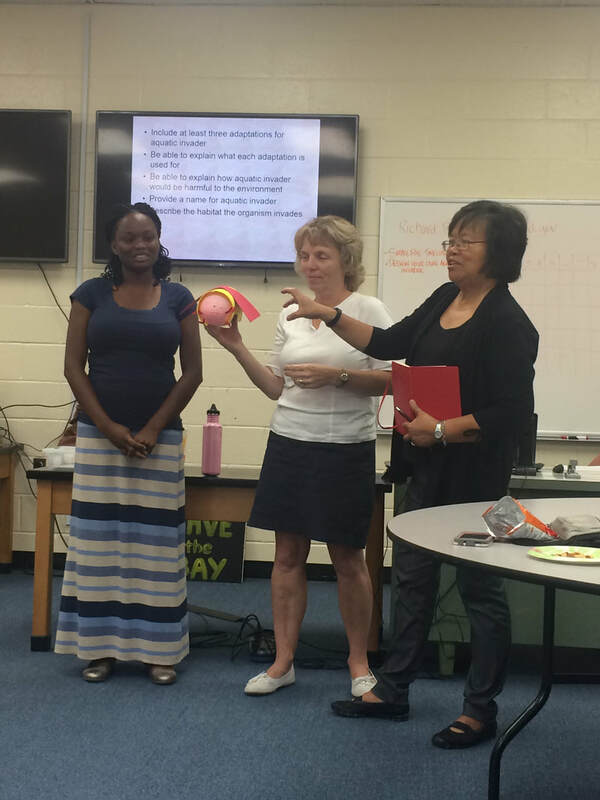 Above: Teachers create a new species of freshwater fish during the Invasive Species Workshop. 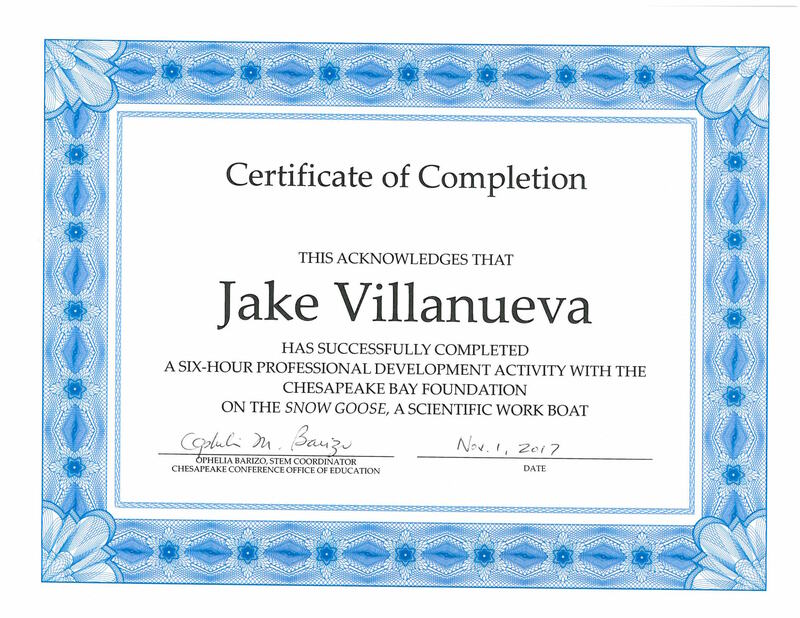 Jake Villanueva (middle school science teacher) and Beckie Carbaugh (principal) attended the Baltimore Harbor Teacher Development program aboard the CBF Snow Goose. 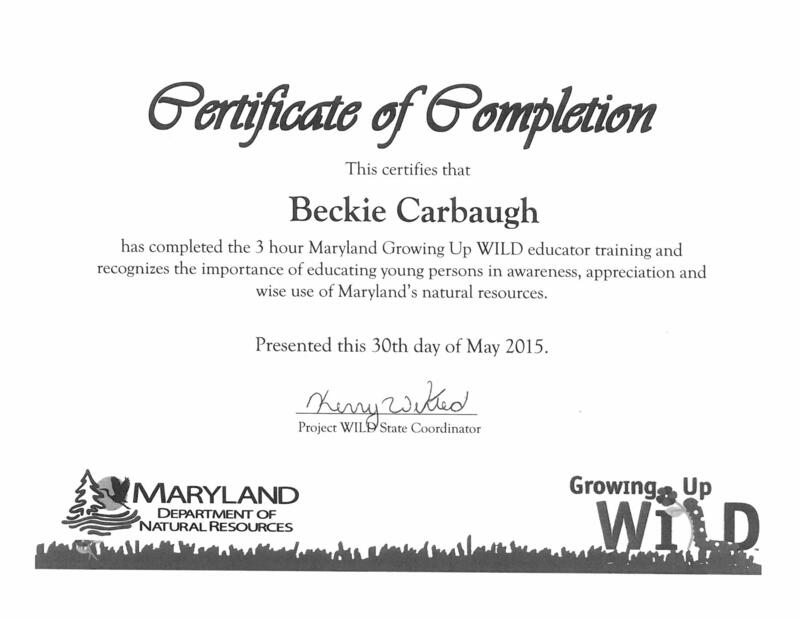 Beckie Carbaugh attended the three-day Independent School Leaders program from July 17-21, 2017 through the Chesapeake Bay Foundation. 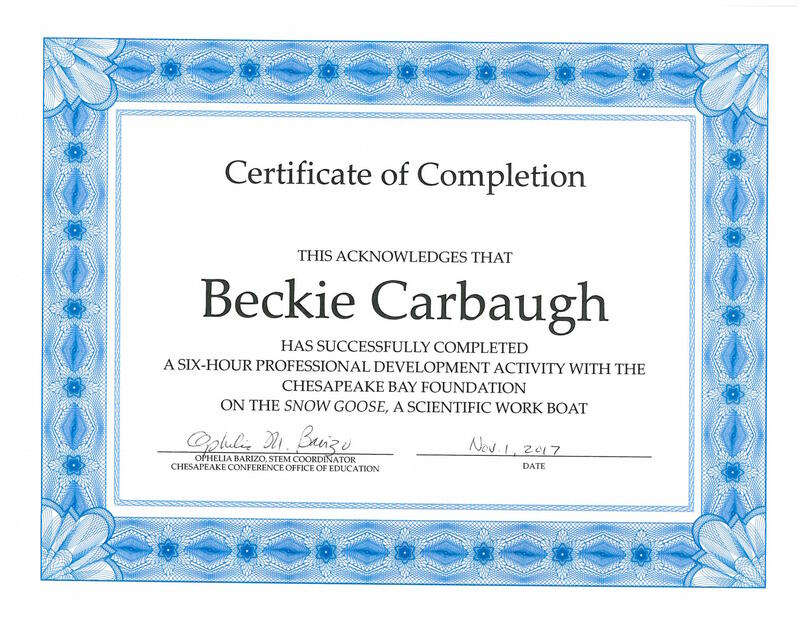 Beckie Carbaugh attended the five-day Chesapeake Classrooms program from July 31-August 4, 2017 through the Chesapeake Bay Foundation. 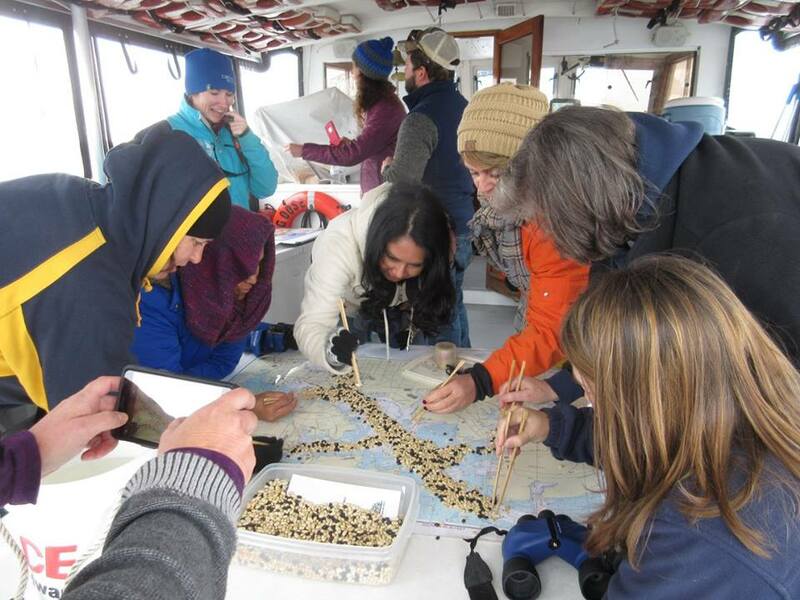 Below: Teacher's aboard the CBF Snow Goose learning about the economics of oystering in the bay. 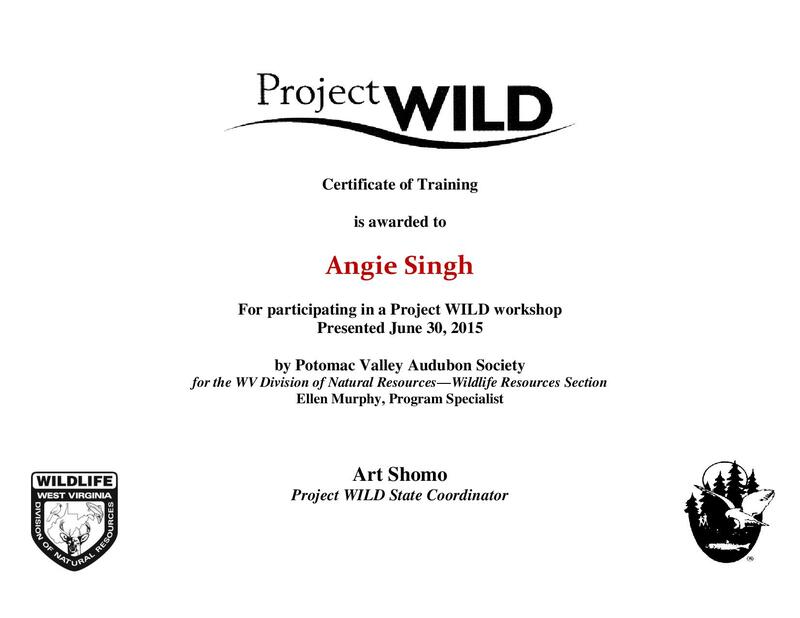 Angela Singh (middle school English teacher) received training in Project Wild and Project Wet. 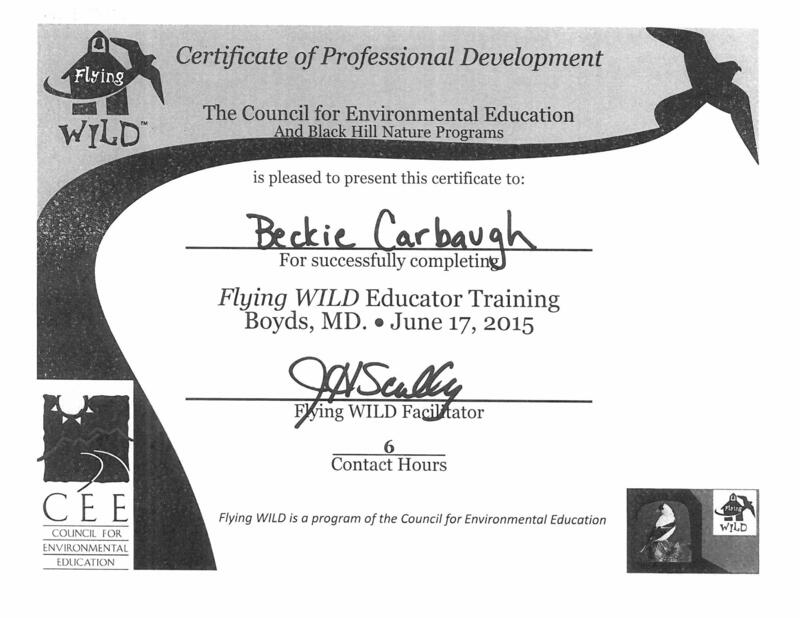 Beckie Carbaugh received training in Growing up Wild and Flying Wild.